All of us have seen the representation of a gypsy woman reading people’s fortunes using a large crystal ball. Although this is an actual psychic practice, this is not the only way to perform scrying, the technical name for this practice. There are actually other methods to perform this same task to acquire visions from beyond, or deep within a subconscious. Here, we will talk about these different methods, what scrying is, and much more. Not Just Crystal Balls Anymore! There are other ways that psychics can perform scrying. Some of these methods range from the very ancient to the modern. 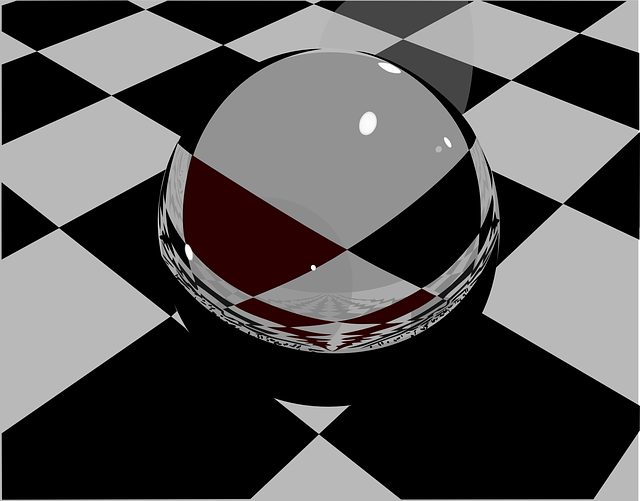 You may notice that some psychics still use crystal balls of various sizes, from small enough to fit into a palm, to very large. However, some may use other means to also have these same visions. Many of these types of scrying do not involve a crystal ball or crystal gazing at all, but can give very similar results. At this point, you may be wondering what scrying actually is. Scrying is another psychic technique that allows psychics to see visions, colors, shapes, symbols, or more that can be interpreted. Very powerful psychics may actually see what might happen unfolding before them. When I had a reading by California Psychics, the lady told me about a scene that she had pictured of me meeting my love, and she described the surroundings and scenario very well! These visions can be showing something in the future, a situation that is likely to take place, or just something that connects to that particular person’s subconscious and life at the moment. In any case, these visions can be used to help you get to know yourself, your place in the universe, and possible outcomes in your future life. As mentioned above, some psychics do use a crystal ball (or balls) of various sizes to practices scrying. Others may use a bowl of water, with or without a cluster of crystal placed into the bowl. Some may practice oculomancy where they simply gaze intently into the eyes of the person they are receiving vision on behalf of. Others might practice a type of scrying called catoptromancy where they use a mirror in order to see visions. No matter what type of scrying used, the visions are largely the same. A psychic may use only one type of scrying, or may use several different methods, according to their skills and preferences. All of the scrying techniques outlined above, include using a crystal ball in order to receive visions, all are very ancient arts. Most of these techniques date back to ancient Rome and Greece, where citizens often consulted oracles or other types of psychics in order to learn more about their spirituality, themselves, others, and the past, present, and future. You can find references to different scyring techniques in the writings of ancient historians, philosophers, and others. These same arts have been in constant practice for hundreds and hundreds of years, and are still used on a daily basis today. What Can Scrying Tell Me? Scrying can tell you many different things. It can help you to answer many different questions about daily life, as well as what your life may have in store for you. Many psychics often consult their visions even in simple matters because they can find the visions helpful for making the right decisions, or showing what different choices may hold in store for you. You may want to ask your individual psychic about what their visions can help you to determine before they begin any type of scrying on your behalf. They will be more than happy to talk to you about what types of things this can help you with. Who Can I Contact to Do This For Me? You can contact your favorite or most trusted psychic to perform this type of service for you. Or, if you have never consulted a psychic before, you can contact one for the first time and ask them to perform a scrying session on your behalf. Some psychics may even give you the first reading for a discounted price. If you are curious, you can also ask them about the different scrying methods that they might use, if they ever use a crystal ball, which methods work best for them, the types of visions that they see and more. You might find it useful to try some psychic reviews if you need to choose a psychic. You can find psychic testimonials and reviews at this site. You might be curious, before you begin your first scrying session, what types of questions are good to ask during this type of reading. For the most part, it is best to keep your questions during this type of session to questions that may be answered by either yes or no. Whether using a crystal ball, or some other methods of scrying, this is most certainly the type of questions that you can find guidance with when scrying. If you are looking for answers to other questions, you may want to ask your psychic about other services that they offer.